We bought a house! We are homeowners! We used to sit around and talk about how one day, some day, we’d have our own house. We were actually pretty sad to leave our apartment (we were there for 7 years!) but it was time for us to grow into our own home. Here is the house the second time we saw her, brimming with window treatments you can tell are too much even from outside. 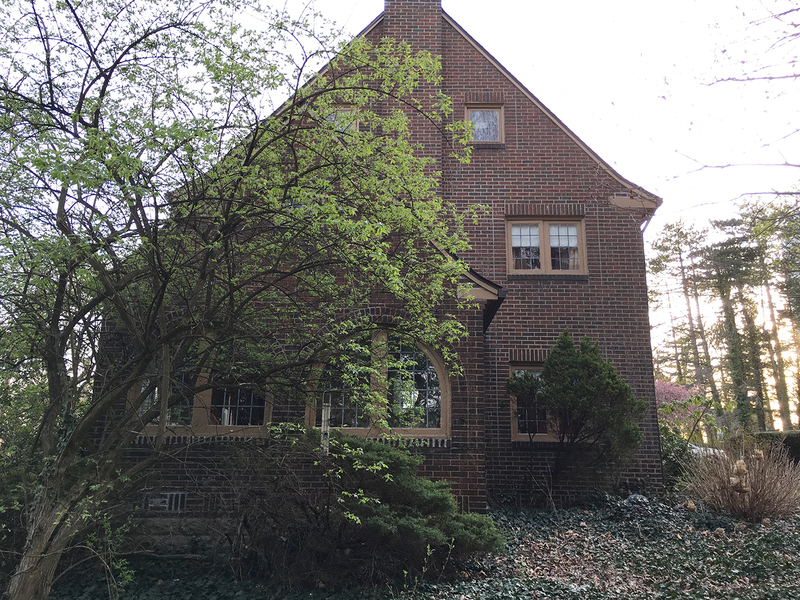 She’s a lovely 1929 brick home with beautiful leaded glass windows. She has suffered from over decorating, overgrowth and neglect. Inside layers of wallpaper and curtains covered up details and outside trees turned to shrubs and covered windows and doors. And that’s to say nothing of the ivy covering almost every square inch of the yard. We closed in July of last year and have been making lists, finding problems, finding more, and slowly making her pretty again with blood, sweat and tears. Andy and my dad could not wait to trim down all the shrub trees blocking windows and doors around the house. So much better. There’s a whole side door there! And just look at those sunroom windows. As soon as I saw those windows, I knew this was the house for us. We’ve done a lot inside the house too since we’ve moved in like removing almost all of the 80s/90s chair rail and wallpaper. We ripped up the carpeting and had the floors refinished, replaced a few light fixtures and did a good bit of painting. 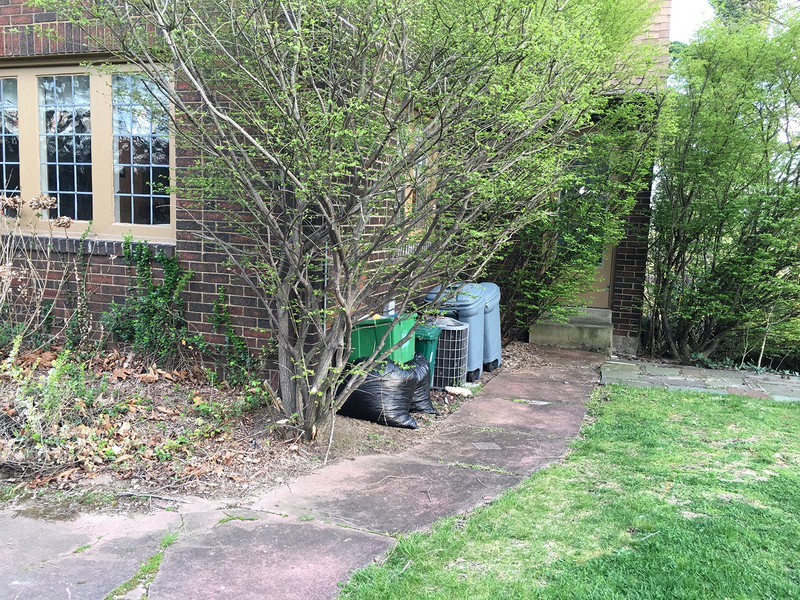 But there’s so much more to do – We need a new driveway! The powder room is a disaster! The master bath is depressing! I want a new kitchen! 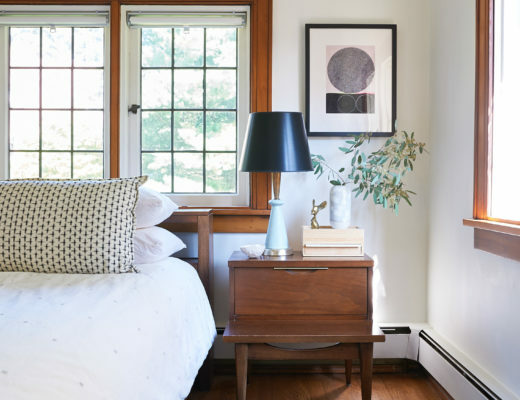 Every room needs to be painted! Wallpaper is holding walls together! What about a fenced in yard for Penelope? The whole 3rd floor could be a studio/office! We have no 3 prong outlets! Are you worn out yet? I am. I’ve got a lot of before pictures, process pictures and not quite done pictures to share so stay tuned. That is not just a house, that is a fantastic house. 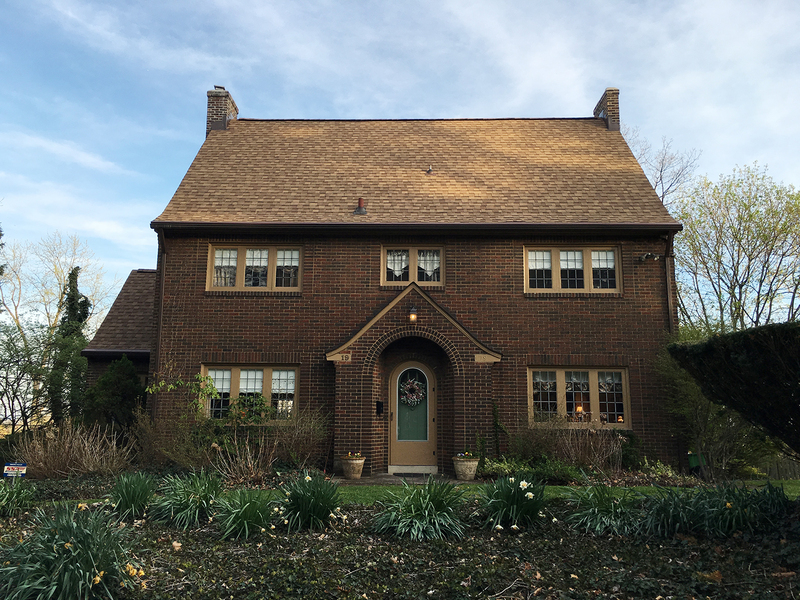 I have always thought that my dream house would be a 1929 – 1933 Tudor. Anything built during the depression would have so much care and detail because all of the artisans were desperate for any kind of employment. Anything built during those lean years always seem to have music coming out of the trim work. Well done! I love the way you describe old homes and the quality of the work! It’s true, old house details are so unique and tell such stories compared to newer things. And thank you for saying our house is fantastic! We didn’t quite think it was at first (and there are many days when we get really mad at it) but we really love it now.